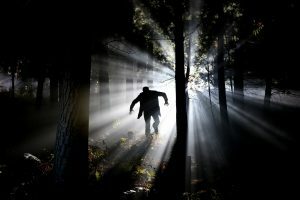 We’ve all heard the legends of vampires, and thanks to Bram Stoker’s “Dracula,” we’re usually given the creeps when we think of the undead menace. But while most of us assume that the legends are nothing more than child’s play, this wasn’t always the case. In fact, there are still many cultures around the world today that believe in vampires, and we don’t have to go that far back in history to a time when the average Joe believed vampires really exist. Discovered at La Necropoli dei Bambini, or the “Cemetery of the Babies,” in Umbria, Italy, there was a good reason why a rock was lodged into the mouth of the child – people believed that it could potential rise from the dead (Blue, 2018). The cemetery dates back to the mid-fifth century when a deadly malaria outbreak swept through the area, taking the lives of many young villagers. 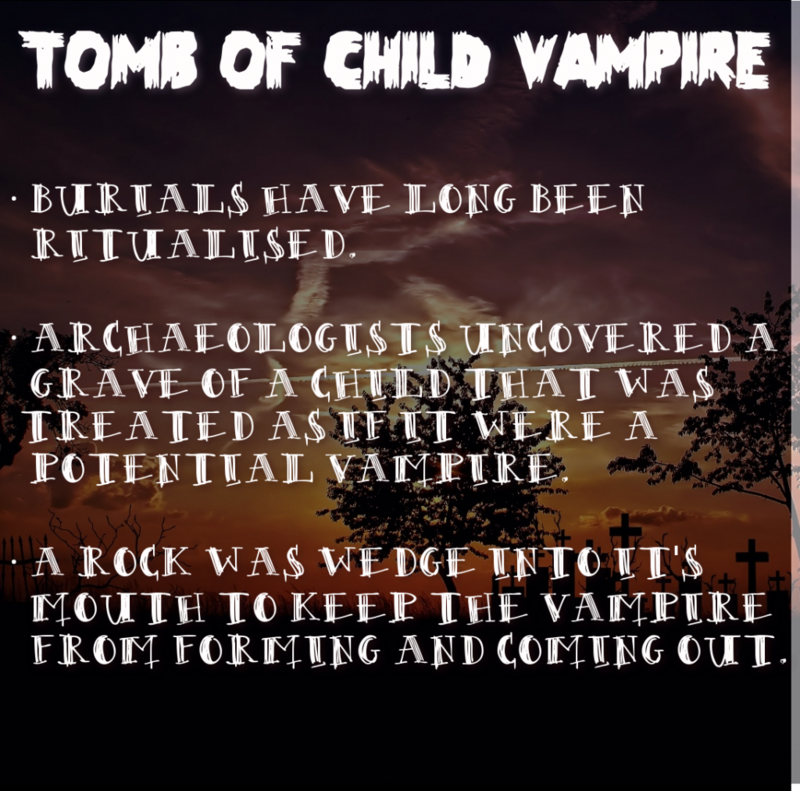 Originally, the researchers believed that the cemetery was for babies no older than three years old. However, this most recent skeleton – which appears to be a child around age 10 – has proven the original theory to be false. “There are still sections of the cemetery that we haven’t excavated yet, so we don’t know if we’ll find other older kids,” said Jordan Wilson, a UA doctoral student in anthropology who analyzed the skeletal remains in Italy. But this is only one strange finding from the cemetery. Previous excavations at the Cemetery of the Babies have revealed bodies that were buried with raven talons, toad bones, and bronze cauldrons – all hallmarks of witchcraft and magic. The 10-year-old child, whose gender is unknown, as yet to undergo DNA testing. However, more testing may eventually lead to clues as to whether he or she was definitively a victim of malaria or some other widespread disease at the time.